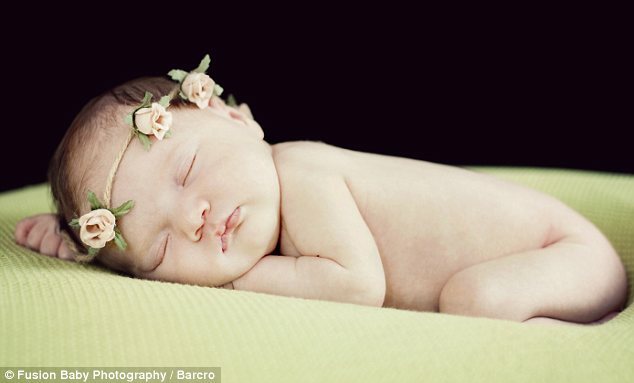 Some would argue that sleep is a foreign concept for most newborn babies - but not according to these incredible pictures. 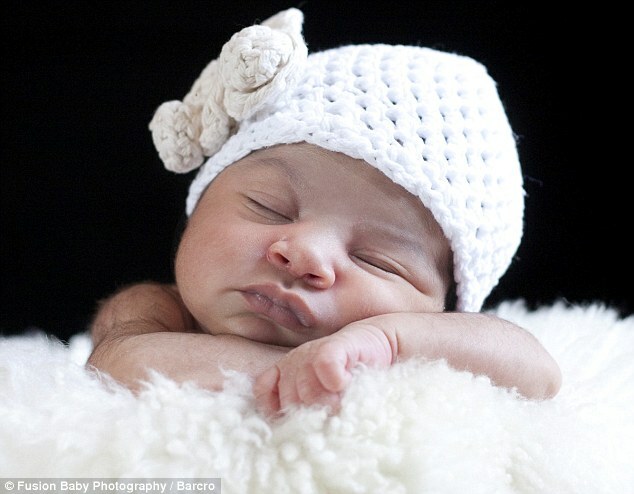 Tiny children, some just days old, have been pictured in various states of blissful repose and the results are adorable. 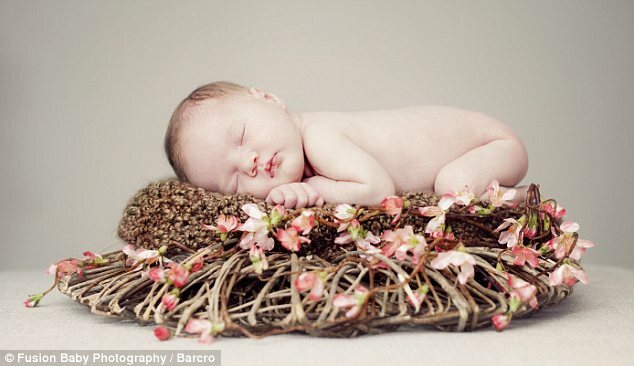 One 13-day-old girl lies on a flower bed, another rests its chin on its hand as if contemplating the mysteries of life. 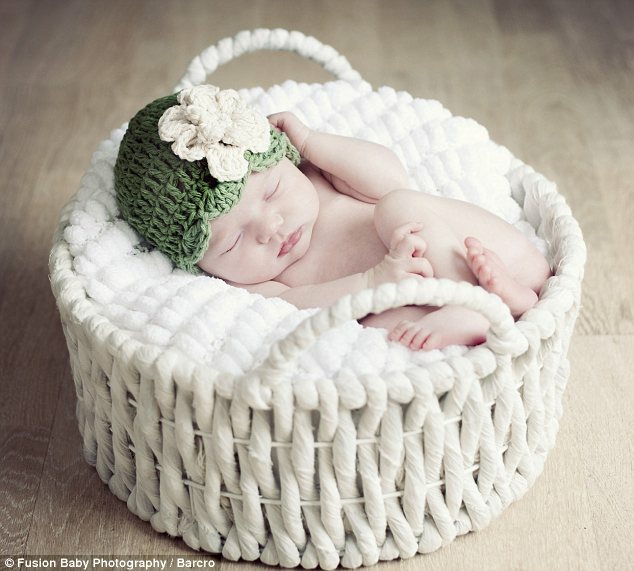 Further pictures show a baby resting in a plant pot, eyes tight shut, and one snuggled up in a small white basket - with a little hat to keep it's head warm. 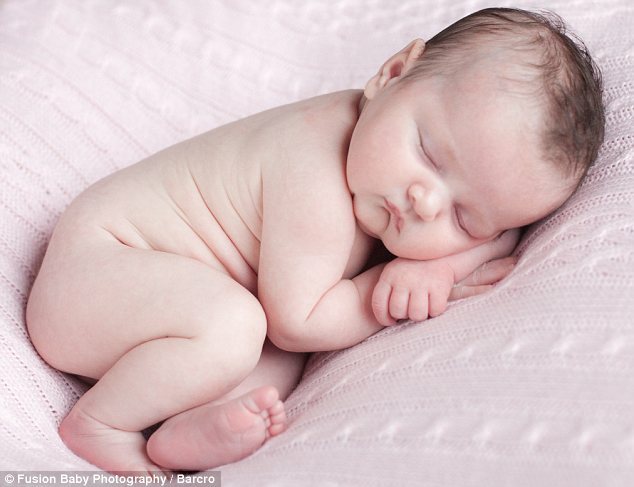 They have all been taken by photographers Yvonne Watt and Fiona Potter of Fusion Baby Photography in Strathblane, Glasgow. 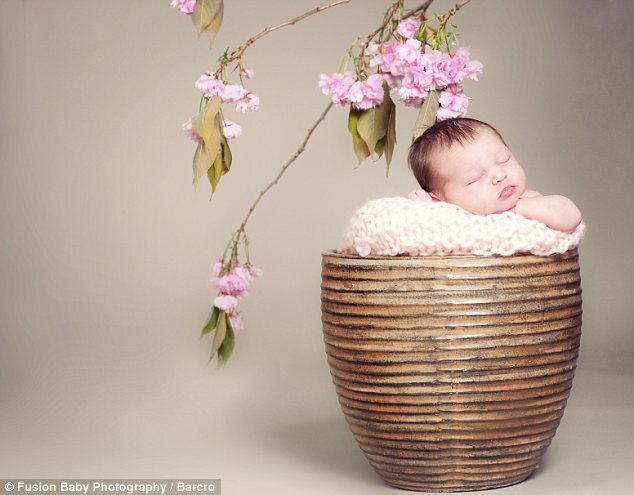 The pair ask clients to bring in babies between four and ten days-old so that they can produce a picture to capture the very earliest stage of their lives. 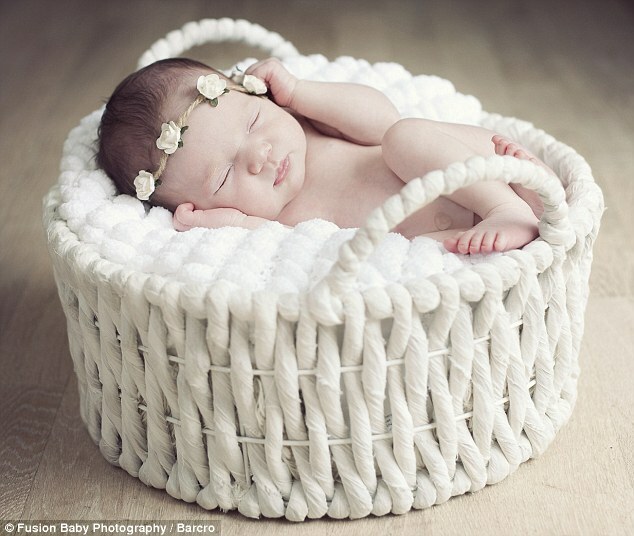 The photographers manage to get the babies to sleep because they make them as comfortable as possible, using blankets made of natural fibres. 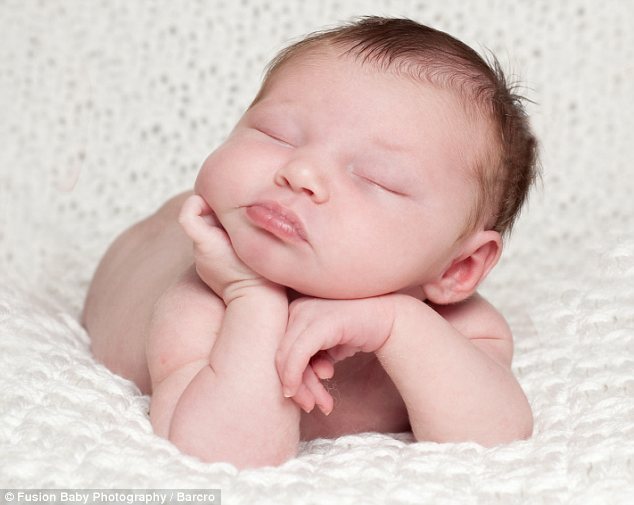 The women have five children between them so realise the importance of capturing the early moments before it is too late. Ms Watt said: 'Often there is so much that is new going on people may overlook the importance of sitting down and doing something special to record this time. DIY Star Wars Bike Helmet is Pure Awesomeness! Is "Back to the Future 4" in the works?